Doug Pence and Ron Hawkins have spent the last two decades accumulating tips, tools, and techniques that make RPG the best that it can be. From designing software to attaining maximum performance to using advanced problem-solving tools, this book presents a wide range of important topics. It offers in-depth, practical coverage of basic subjects--such as data structures, string handling, and subfiles--and also tackles the more intricate subject areas, such as APIs, prototyping, and journaling as a debugging tool. It covers built-in functions (BIFs), data types, and subprocedures. 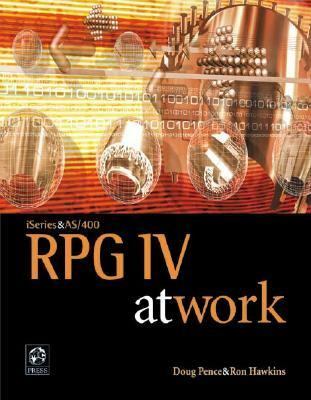 From coding to compiling, this book has tips for RPG programmers of every level.Pence, Doug is the author of 'Rpg IV at Work', published 2000 under ISBN 9781583470237 and ISBN 1583470239.